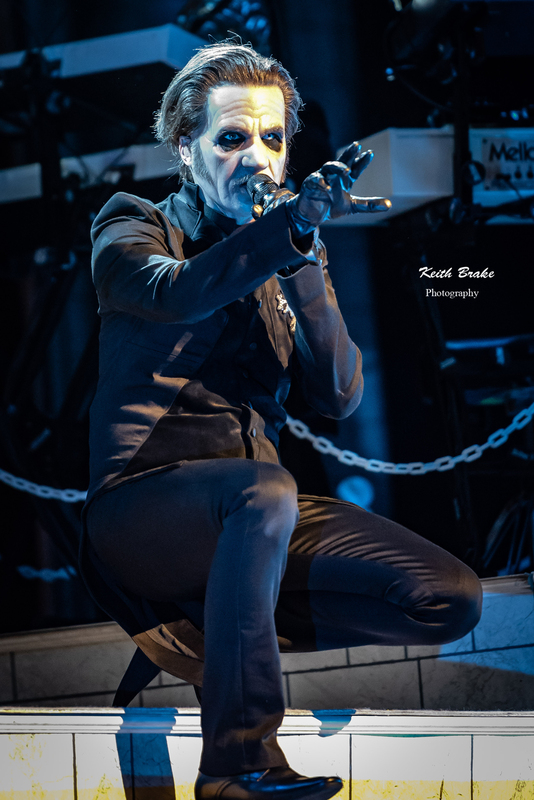 Ghost performing at Peabody Opera House in Saint Louis Friday. Photo by Keith Brake Photography. As a music photographer when you are presented with a chance to photograph a visually impressive stage production with interesting looking performers you will almost always jump at that chance even if you are not too familiar with the band. I have attended many shows in my lifetime and documented more than a few of them for Midwest Rewind in 2017, but the sold out show I attended Friday (5-25-18) at Peabody Opera House was like no other I had ever witnessed. Ladies and gentlemen, I present to you Ghost. 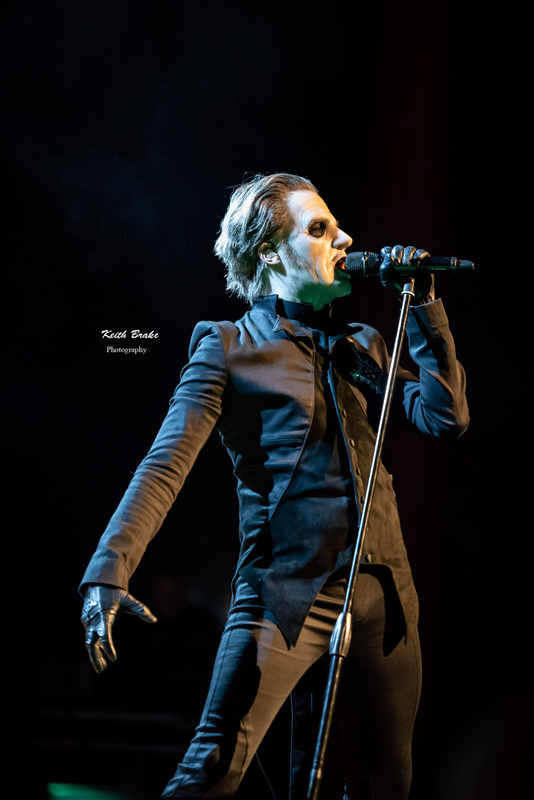 Swedish metal bands with dark lyrics aren’t exactly a new concept but Tobias Forge, vocalist and creative mastermind of Ghost, has created an experience that is visually stunning and polished to almost perfection. I must admit that this may not be my “go-to” style of music but I absolutely respect a polished and powerful performance when I am lucky enough to see one. First, the set; stained glass backdrop, cathedral style. Second, the band; an entirely anonymous band of ghouls complete with matching masks and tuxedos. 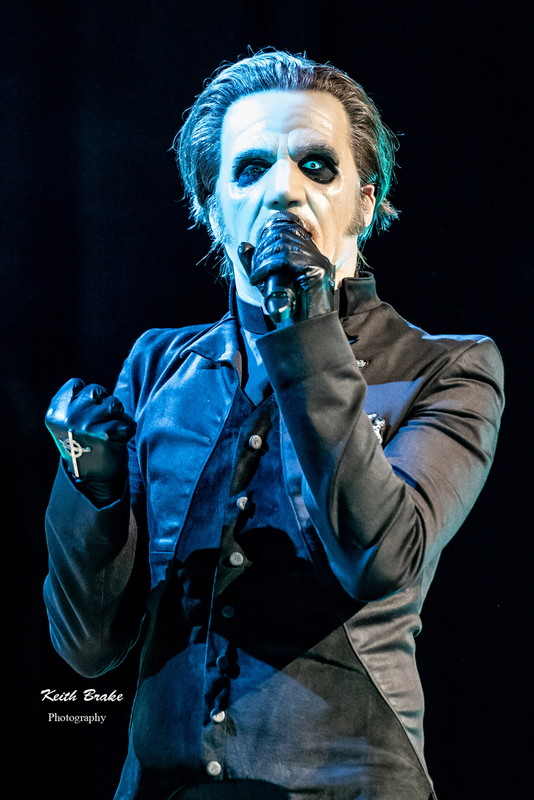 Lastly, “Cardinal Copia” an anti-clergy character who dresses in various costumes throughout the show. Is Tobias poking a stick at organized religion most obviously the Catholic church? Without a doubt. As I watched the show I did my best to take it all in, the carnival caller style Forge uses to address the crowd, effortlessly eliciting response from the room. The band of ghouls are as impressive as any group of musicians you will ever hear, harmonizing backup vocals, keys, saxophone, keytar, acoustic guitar, harmonizing guitar solos and on and on and on, every song, every set. Tobias’ vocal stylings are not nearly as dark as the lyrical content, in fact, it almost sounds upbeat while being both powerful and more than adequate to carry this concept home. When all of these elements are put together it creates something so unique that you almost have to see to understand. In the lyrics you have mention of Beelzebub and Lucifer, but the music is entirely reminiscent of a Tim Burton film, at times I almost expected to see Jack Skellington walking the Corpse Bride to be sacrificed by Edward Scissorhands. The loyal fans really appreciate the efforts and fruits of Tobias’ concept and vision and it is obvious. Every song, and I mean EVERY song is met with thunderous applause upon completion. Of course they have their favorites “From The Pinnacle To The Pit”, “Dance Macabre” and “Square Hammer” all elicited such a response from those in attendance it felt as if it shook the building. I have been to many shows at Peabody Opera House and I have never heard it louder in that room than it was on this night. 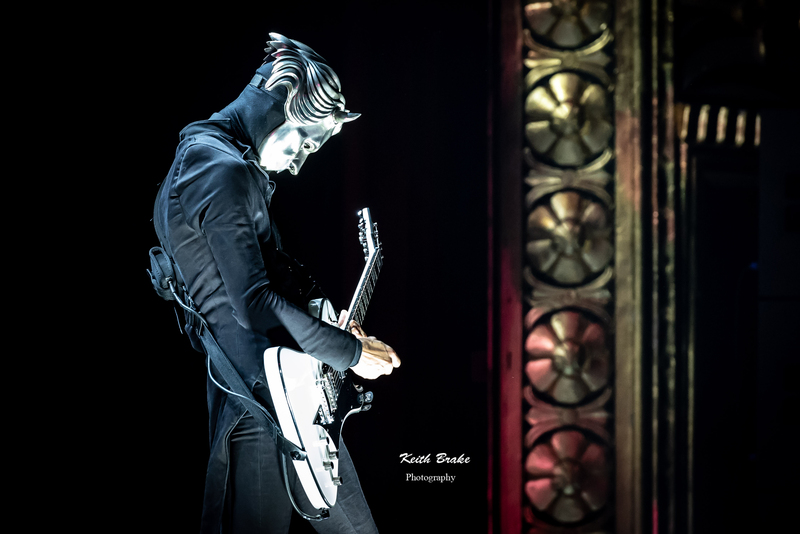 “An Evening With Ghost” is a fully immersive, surreal, humorous, visually spectacular show with musicianship and timing as tight as any I have ever witnessed. 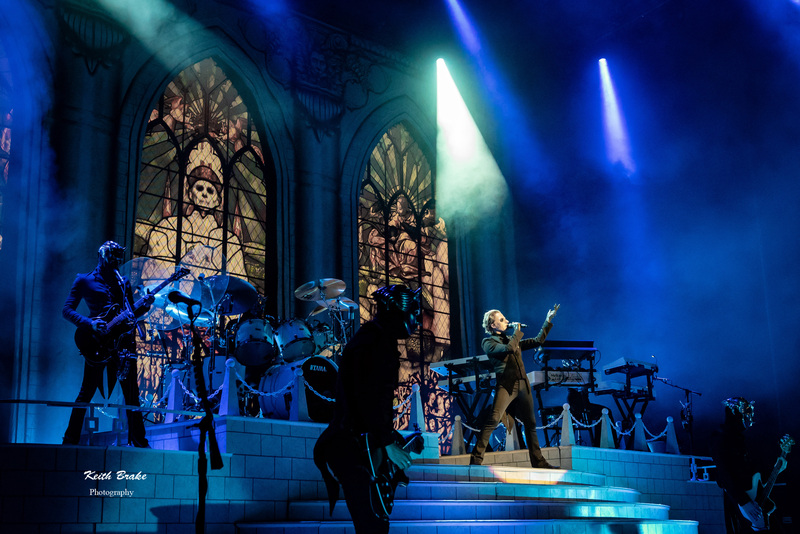 You have to go into this with an open mind but if you appreciate what the performers are doing and appreciate talent, this tour will be a can’t miss for you….unfortunately by the time this article will publish Ghost will be on their way to Europe. Now that you know what you have missed, better luck next time getting tickets. Thanks for all the continued support friends, be sure to check out the photo gallery after the set list.